Alright. Sometimes I think that certain restaurants get an unfair rap based on their expected cuisine. What I mean by "expected" is that the food is similar; yet different than the originating ethnic cuisine. Indeed it brings up the dirty F word - fusion. However, some of these places do not advertise to be fusion nor authentic. So my question is: why do we trash them? We most certainly cannot dine at these type of establishments and expect the same food you'd get at a "real" ethnic restaurant. 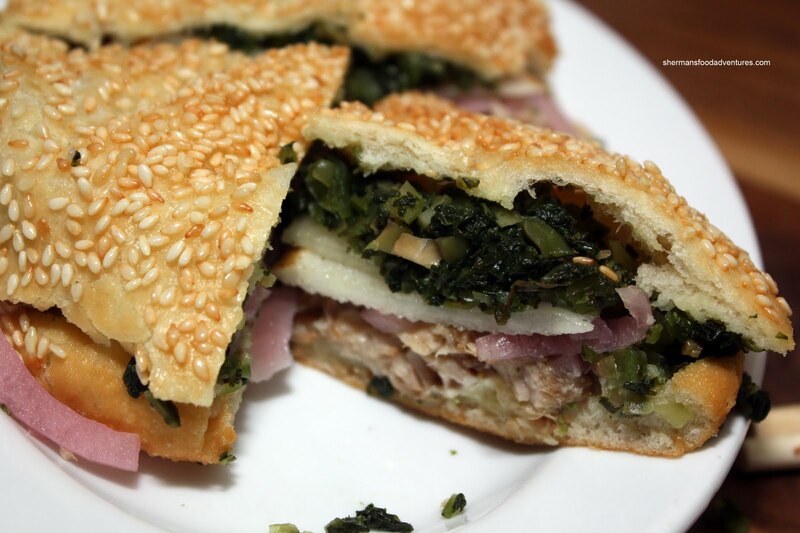 If you wanted that, then go to the authentic place. For example, there is Terracotta. It's advertised as "modern" Chinese cuisine. W ell, that's fair enough. I do not see authentic or claims to be in that statement. So, to be fair, we can only judge the place on what they serve. No, we really shouldn't be comparing directly with say... Shanghai River. Two totally different establishments with two very different target audiences. Same with Miku. If one wanted plain ol' sushi, then go to a plain ol' sushi joint. Miku specializes in Aburi Sushi (which is authentic by the way) and that is what you'll get. Now it brings up another place - Bao Bei. 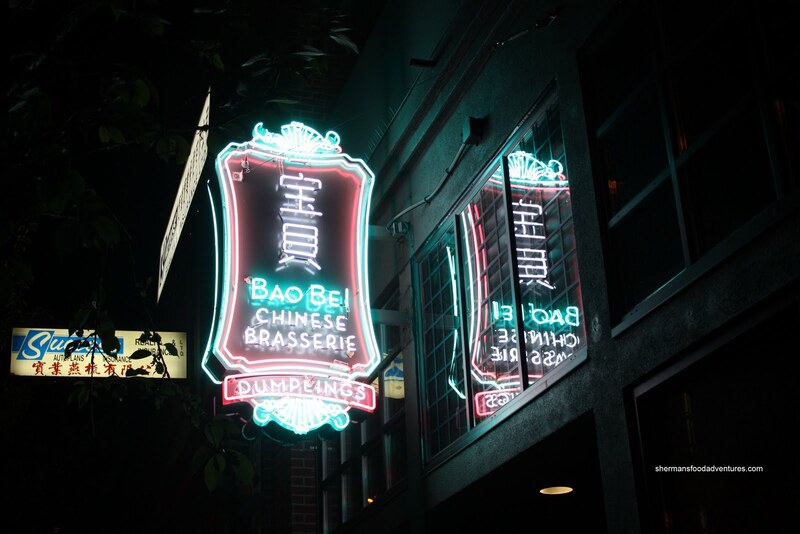 The brainchild of Tannis Ling, former master mixer at Ch ambar, Bao Bei is NOT a Chinese restaurant. Rather, it is a hot spot for those who are on their way to a club or just want to pick up some late night snacks. Thus, to compare it to a wonton noodle joint is plain ludicrous. With that being said, one can legitimately say that they do not like it due to personal preferences. As I stated in my Terracotta post, there are times that I really don't want to chill in a wonton noodle joint. After all, the atmosphere does not lend itself to lounging with a drink. It's strictly eat and leave. Besides, the only drink available would probably be Tsin g Tao. So after a full day of eating and dessert at Bella Gelateria, Eunice, Whipping Girl, Grayelf and myself made our way to Bao Bei for drinks and some snacks on the side. I'm not a huge drinker; but when the situation arises, I'm more than game. I decided on the China Libre (Flor de Caña Black Label rum, Ribena, Coke, lime), mostly because I like Ribena. And this drink was very tasty, I can see someone easily downing 10 of these easily. 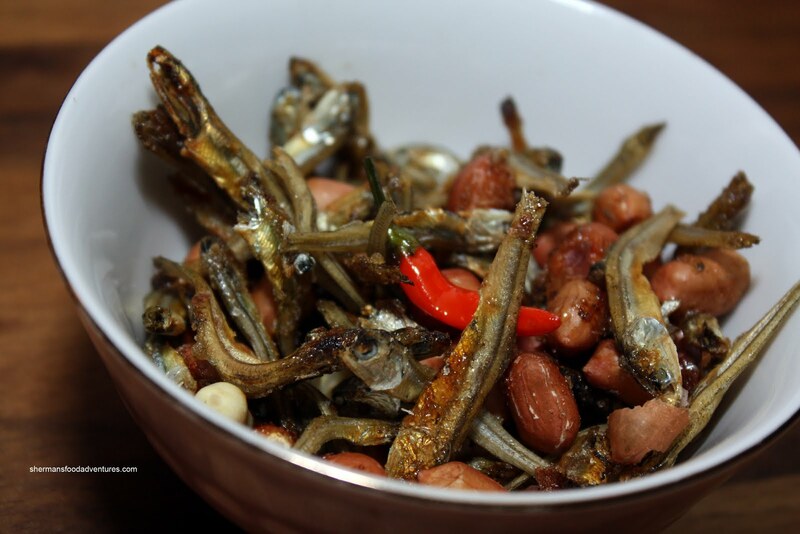 As for our food, we started with Crispy Fishies with roasted peanuts and chilis. This little dish was, in fact, very traditional. Looked and tasted much like any other v ersion from various Taiwanese restaurants in town. Fish were indeed crispy with a nice sweet and spicy flavour. So a good start. Too bad our good start didn't last. The Crispy Daikon Cake was certainly crispy - way too crispy. It hurt trying to chew it. It was so stiff that we thought it was taro cake. For me, it just tasted like oil, don't order this. Next up were the Mantou with braised beef shortrib, hoisin, scallions, pickled cucumber and roasted peanuts. I actually liked these little bites. 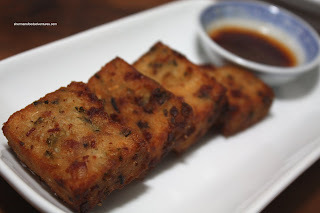 Compared to the ones at Terracotta (which are fried), these were much lighter and less greasy. 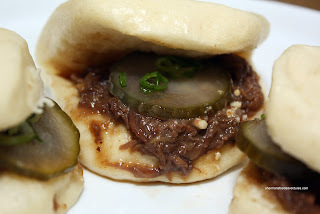 I liked the pickle, really nic e zing to lighten up the rich short rib. root, quail egg, watercress, burnt scallion oil and lotus root chips) and insisted we try it. In terms of concept and presentation, this is very similar to Beef Yuuke (found in many Izakayas). The tartare was executed quite well. The combination of tender beef and raw egg made for a certain level of smoothness. 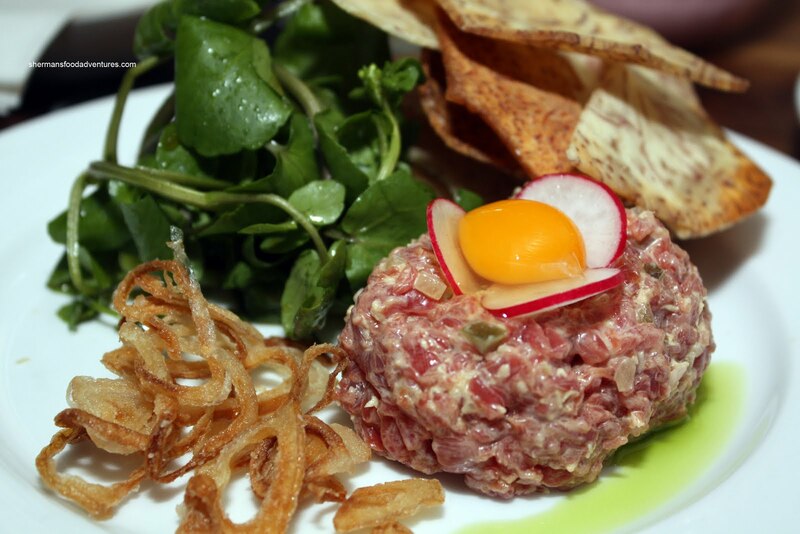 Although there were hints of zing from the ginger and shallots, the tartare would've benefited from more acid. The taro chips made for an excellent eating vessel. 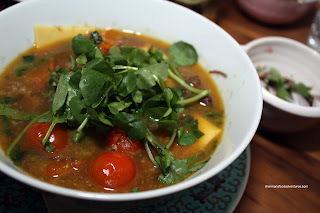 Last dish was the Rekong Beef Noodles with house-made square egg noodles, braised Pemberton beef, blistered organic tomatoes, local watercress, shallots, cilantro and broth. I found this offering to be underwhelming, especially for $12.00. With that being said, the noodles were perfect and the side dipping sauce was delicious. I gotta admit that Bao Bei was not as bad as people have made it out to be. 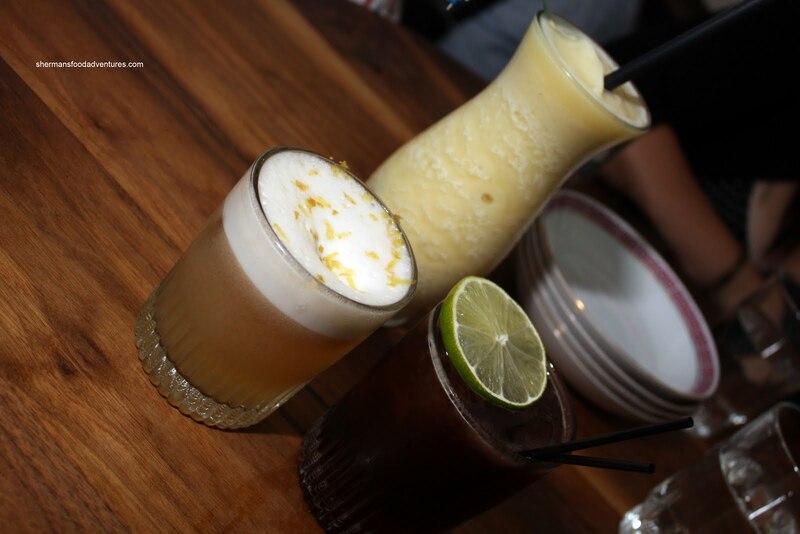 Sure, not everything was to my liking; but it was decent enough and the drinks were excellent. With all that being said, the prices are high for this type of food. 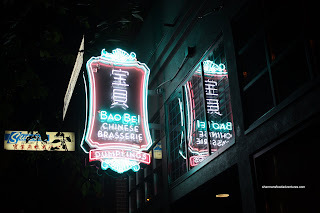 So if this is not your cup of tea, head over to the nearest Chinese greasy spoon; just don't compare it to Bao Bei, they are 2 totally different entities. It still somehow falls into the "if it looks like a duck, walks like a duck and quacks like duck, chances are...". For example, in their menu, they say "Eat and drink until your heart’s content" so I will put emphasis on the eating part (well, specially me! :P ). As a result, drawing comparison with an actual restaurant can't be helped, specially my caveat of not being a drinker. Yup Kim, I totally understand. I know we disagree on this particular type of restaurant. I think I'm a bit more lenient in that regard. In terms of value and authenticity, one needs considerable restraint to not compare to authentic ethnic eateries. But for me, my opinions are shifting towards acceptance of different types of establishments that challenge our existing views. With that being said, Terracotta and Bao Bei are not exactly the places I would frequent on a regular basis. However, they do fill a niche and they have their target audience. In that way, we must look at them as such.